Mexico is a fave holiday destination in the celebrity world. The rich and famous head here in their droves thanks to the short flight time from Los Angeles and year-round sun on both coasts. 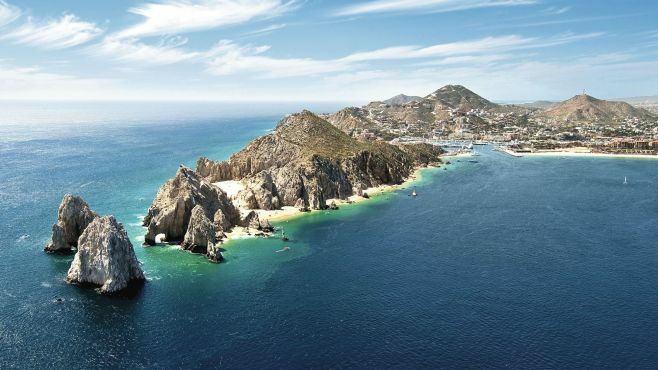 Our newest destination is A-listers’ favourite, Los Cabos. We’re talking bags of natural scenery, an ultra-modern shopping scene, and plenty of swanky bars. It’s not unusual to stumble across swanky yachts in Sardinia, and Costa Smeralda is your destination for flashy, Hollywood types. Mariah Carey, Zac Efron, and Rihanna are just a few of the many celebs who have spent time on this Italian island, which still hangs on to its Spanish influence. Take a walk through Alghero on the north-west coast and you’ll see it in the architecture and the restaurants and cafes – some offer menus in Catalan and Italian. Celebs love this stretch of coastline so much, they’ve moved in. With the likes of Cannes, Monaco, and St Tropez to make the most of, it’s not surprising that everyone from Bono to Bill Gates has a home here. The charming streets fill with markets and locals as much as they do millionaires, but you may spot Kim Kardashian-West and co out on the water or Kate Moss at one of the St Tropez clubs. But don’t fear – the Riviera still holds all of the French charm you’d expect. It’s not hard to see why the rich and famous love Jamaica. Gorgeous beaches, historical buildings surrounded by local markets, and the famous laidback approach to life – spend some time on the island and you’ll soon understand why Bob Marley said don’t worry, be happy. It’s been attracting stars for generations, too. Hollywood’s Grace Kelly and later, former U.S President John F. Kennedy both used to holiday here. These days, you’re more likely to see Jennifer Lopez in Negril relaxing after another awards ceremony, or Stevie Wonder in Montego Bay. Ready to rub shoulders with the rich and the famous? Browse our All Inclusive holidays and read about what’s included on an All Inclusive First Choice holiday to find out more about how you can live like a star.